Dan Baum is a gun fanatic. He is also Jewish Democrat who grew up in suburban New Jersey. 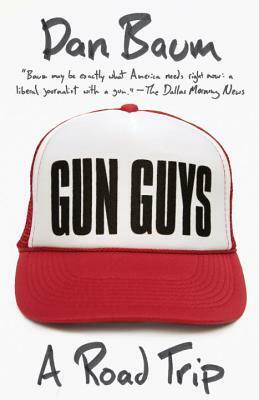 In Gun Guys, he takes us on a guided tour of gun stores and gun shows, shooting ranges and festivals, contests and auctions, trying to figure out what draws so many of us to guns in the first place. Is it just part of being American? Introducing a wide cast of characters, Baum shows both sides of the gun culture in America, bringing an entire world vividly to life, and in doing so helping to find a middle ground in the gun debate, where actual conversation can take place. Dan Baum is the author of Nine Lives, Smoke and Mirrors, and Citizen Coors. He was a staff writer for The New Yorker and has written for Rolling Stone, Harper’s Magazine, The New York Times Magazine, and many other publications.